For sale is like new, FOX Factory Series 34 FLOAT 27.5, 150mm travel, standard spacing (15x100), steer tube is 7-3/8" The fork has been sitting in the box since new without being used. There is small flaking of coating at the top (see pictures) and one tiny nick on the stanchions (see pictures), both from storage. 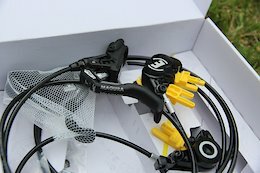 These minor defects do not affect the performance, and I will be glad to take the fork back if it doesn't meet your expectations. Even although the fork has not been used, the oil and seals were replaced to ensure fork is ready to be ridden with no additional maintenance required. The 2016 Fox 34 FLOAT Factory 34mm forks were reimagined with a new damper, which provides three on-the-fly compression damping position - "Open, Medium, and Firm", allowing fork to quickly adapt to undulating trail conditions. 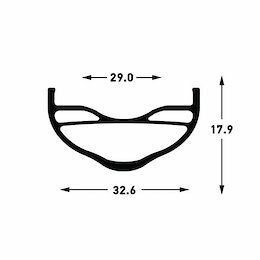 The low weight and lockout of the Fox 34 equate to more efficient climbing, while the FLOAT Air spring has been updated to be lighter and to react with more sensitivity, giving the rider a superior ride and exceptional control. 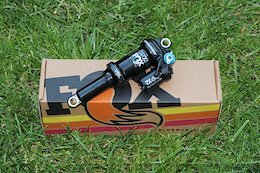 Just like the Fox FLOAT rear shocks, this fork has a positive and negative spring that equalize automatically and can be fine-tuned with volume spacers for that ultimate, dialed-in feel. I can take payment via PayPal and ship within US/Canada. 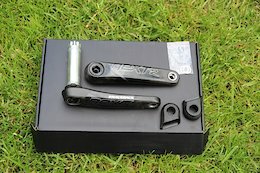 For sale is Fox DPX2 Performance Elite. 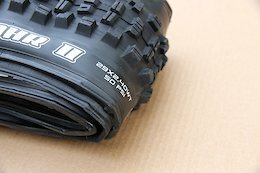 The shock length is 7.875 x 2.25 / 200mm x 57mm. The shock is in like new condition, and was removed from SC Hightower LT. The shock has about 10 miles on it, warranty is included. The Fox DPX2 shock is for the new breed of trail riders that demand XC efficiency coupled with DH performance. 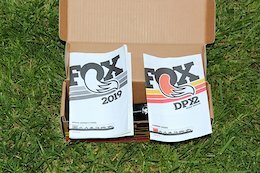 By combining performance features of their DPS and X2 models, Fox has created a shock with excellent small bump sensitivity, great mid-stroke damping support, and better control in transitions. All coming together to create the ultimate trail shock. At the heart of it all is Fox's Dual Piston System (DPS) that features three on-the-fly settings-Open, Medium, and Firm-to allow riders to adapt to a wide variety of terrain. The valve design provides full lockout without compromising bump compliance, ride control, and efficiency. Performance Elite Series DPX2 shocks feature an additional 10 clicks of compression adjustability in the Open mode. I can take payment through PayPal and ship within US/Canada. 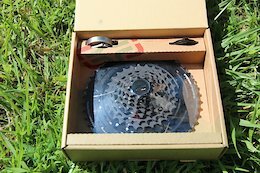 For sale is pretty much brand new RaceFace Next-R crankset, 170mm. The cranks were on the bike for 10 miles and are in like new condition. 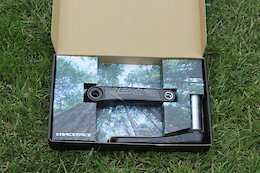 Race Face designed the Next R cranks with elements from their SixC designs and incorporated them with the best of Next to make an aggressive, ruckus ready crank that can take you to the EWS podium. Light and strong where it matters most. Racing time or just rallying with friends, feel free to get a bit more sideways with Next R. - Lightweight carbon crank built for enduro abuse - Cinch platform offers tons of versatility - No compromise crank for climb heavy days and durability - 170mm cranks I can take payment through PayPal and ship within US/Canada. 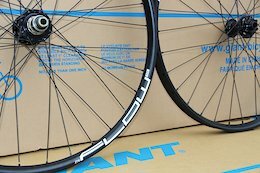 NEW - Stans NoTubes Flow EX3 Wheelset, 29"
NEW - Stans NoTubes Flow EX3 Wheelset, 27.5"